This post presents some key points of the presentation. It’s a common presumption that the most ancient frame of reference are the fixed stars. Yet it could be asserted that the most ancient frame of reference is the horizon. This is an earth-based concept. It focuses our awareness on what happens down here, not up in the sky. Symbolically it is the major angle where light comes into view to ideally increase and dispel the dark. 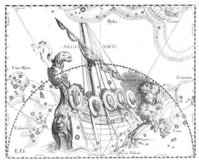 It was also seen by the ancients as the ‘helm’ of a ‘ship’, or the ‘rudder’ by which to navigate through life. Extending this metaphor, planets holding dignity and strong placement with the Ascendant can become notable in influencing the quality of the craft and steering the journey. As an important angular point the Ascendant also gave signification of how and whether an individual could be an effective presence in existence. The Ascendant has always been regarded as strong in symbolism when it comes to beginning the round of the houses. It is connected to the first house in the standard twelve-house system of horoscopic astrology, either signifying its beginning or floating within it. That is the house which will be ‘first’ to rise by continued Primary Motion. Astrological tradition has also held the Ascendant and first house as indicative of the physical body, its appearance and vital condition. In ancient astrology the Ascendant was primarily of the self, whilst all other factors were generally considered to symbolise what ‘surrounded’ the self, or what ‘may happen’ to the self. In relating to the twelve-house system, there is another factor which demonstrates the importance of the Ascendant concerning how the other houses are symbolically considered. For their meaning and potency was developed from their natural relationships to this rising angle or first place. As a major angular marking point, and in being so related to the timing and location of chart data, the Ascendant was literally named the horoskopos or hour-marker. This is the true heritage definition of the term ‘horoscope’. Today, this term is used more loosely, often to mean an entire astrological chart, or in some cases, referring to a forecasting list simply based on sun-signs. This Intensive was first presented in Brisbane (QFA) and on the Gold Coast (GCAS) in March 2009, and on the Gold Coast (GCAS) in revised form in June 2013.